You may heard anywhere that some people make huge money from the stock market. You may also heard anywhere that stock market is gambling, people lost their money in the stock market. But, i believe that stock market is not a gambling. People lost their money because they take wrong decision and came to the market without knowledge and experience. Stock market is like a Game.You must understand the market to become a successful stock investor.If you are beginner then i will highly recommend you that start with a little amount of money. At first try to understand the market. Before you lnvest money in stock market you should know how the market works. This article will give you some basic facts, which may helps you. When a company newly build,they need more money to grow their business. That's why they goes to public and give them that companies stock.That new stock is also known as IPO. 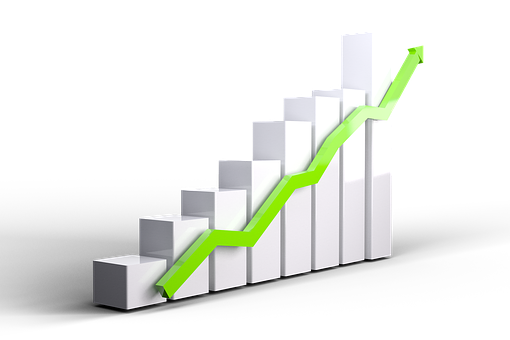 The stock price will grow when the company performance will grow.Stocks are 2 type.1.common stocks 2. preferred stocks. When you buy a company stock then you are called a Shareholder. Buying a stock means you are also little part of that company. To become a successful stock market investor, you must control your emotion in this field. I noticed that many people came to stock market and they lose their money at the first time. That's why they quit the market. Stock market is not like a money making machine. You never make money always. Maybe sometime you lost your money. But it does not mean that you will never make money. Most people do one of the big mistake that they invest in the stock without researching the company background. And that is the big reason that people lose their money. You may heard anywhere that some people make fortune with stock market. Because they are expert to choose the best stocks.They spend most of their time to finding the profitable stocks. If you don't know where you are going,Then you are wrong path.Making goals for what we want to do and working towards them is an important part of being human.It does not matter how big or small goals you have.But having a goal always beneficial in the stock market world. You should definitely avoid the herd mentality in the stock market.Never jump blindly in the stock market.make your investment decision with proper research and analysis.never blindly follow the television news,media reports etc.Always try to make your own decision. Stock market is the high risk and high return platform.Your profit depend on your risk management.Making huge money from the market is possible only when you have sufficient knowledge of the market. I will highly recommend you that never invest your money anywhere if you don't understand anything or everything. Take time to learn basic about the market.Educate yourself before jump in the stock market. I hope with this article, you learn the basic information about stock market. And if you think this article is helpful, Please share on social media.